A dog can be a child’s best companion, and teach them about respect, kindness, and responsibility. Sometimes a child’s first responsibility is with a dog. 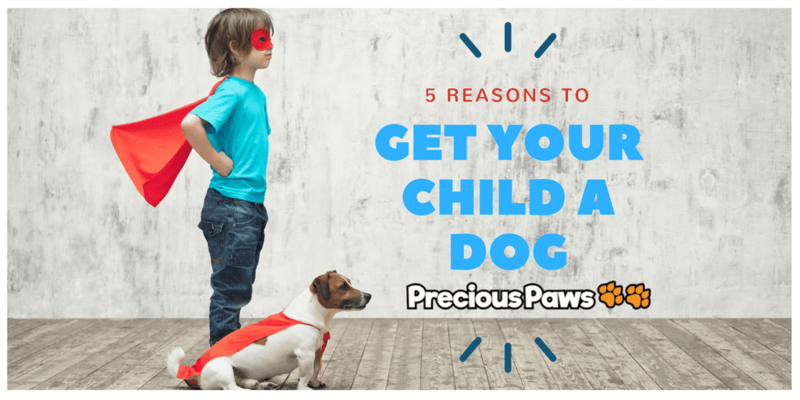 They can help with feeding, water, and exercise (that’s good for the dog and the child). A dog can help children develop nurturing and social skills. Positive feelings about dogs can aid self-esteem, compassion, and friendliness. Gives them a “Best Friend”. Children often turn to their dog when they need a friend or protector. What is more forgiving and loving than a dog? They can learn about helping the helpless, and caring for something besides themselves. Sometimes a child’s first experience with death and grieving. Let’s them have fun (without electronics). Dogs are always up for playing. They don’t need extravagant toys. Dogs give unconditional love and affection.